Singapore has an open trade policy, and is very conducive for foreign investment. In 2018, Singapore ranked second in the World Bank rankings for Ease of Doing Business, among 191 countries. Singapore is the eighth-largest recipient of foreign investment in the world, according to the United Nations Conference on Trade and Development (UNCTAD) 28th Investment Trends Monitor. According to the World Investment Report 2018 (UNCTAD 2018 Report), Singapore was among the three largest recipients of foreign investment in Asia in 2017, after China and Hong Kong. In addition to various incentives for promoting foreign investment (eg, the Global Investment Programme, EntrePass, tax incentives and measures by the Economic Development Board), Singapore’s strategic location in the heart of Asia, excellent connectivity and infrastructure, and professional workforce, further enhance its attraction as an investment hub. The major sectors of foreign direct investment (FDI) in Singapore are financial and insurance services, wholesale and retail trade, manufacturing, professional, scientific, technical administrative and support services and real estate activities. The other sectors include transport and storage, information and communications, accommodation and food services and construction. The Arbitration (International Investment Disputes Act) (Chapter 11) implements the Convention on the Settlement of Investment Disputes between States and Nationals of Other States (ICSID Convention). Sector-specific statutes and regulations apply to investments in specific sectors in Singapore (see question 14). Investments by foreign investors in Singapore are also governed by the respective bilateral investment treaties (BITs), multilateral investment treaties, international investment agreements (IIAs) and/or investment chapters in free-trade agreements (FTAs) or other international treaties with investment provisions. FTA), Bangladesh, Belarus, Belgium-Luxembourg Economic Union (BLEU), Bulgaria (protocol signed at the time of entering into the BIT), Burkina Faso (signed, but not in force), Cambodia (co-exists with the Association of Southeast Asian Nations (ASEAN) Comprehensive Investment Agreement (ACIA)), Canada, China (co-exists with the ASEAN-China Investment Agreement and China-Singapore FTA), Colombia (signed, but not in force), Ivory Coast (signed, but not in force), the Czech Republic, Egypt, France, Germany (protocol signed at the time of entering into the BIT), Hungary, Indonesia (signed on 11 October 2018), Iran, Jordan, Kenya (signed, but not in force), Korea, Kuwait (co-exists with GCC-Singapore FTA), Laos (co-exists with the ACIA), Latvia, Libya, Mauritius, Mexico, Mongolia, Mozambique (signed, but not in force), the Netherlands (protocol signed at the time of entering into the BIT), Nigeria (signed, but not in force), Oman (co-exists with the GCC-Singapore FTA), Pakistan, Peru (terminated, replaced by Singapore-Peru FTA), Poland, Qatar, Rwanda (signed, but not in force), Russia, Saudi Arabia (protocol signed at the time of entering into the BIT; co-exists with the GCC-Singapore FTA), Slovakia, Slovenia, Sri Lanka, Switzerland (co-exists with the European Free Trade Association (EFTA)-Singapore FTA), Taiwan (an agreement between the Industrial Development and Investment Centre, Taipei and the Economic Development Board, Singapore), Turkey, Ukraine, the United Arab Emirates (co-exists with the GCC-Singapore FTA), the United Kingdom, the United States (there is an investment chapter in the United States-Singapore FTA), Uzbekistan, Vietnam (co-exists with the ACIA) and Zimbabwe (signed, but not in force). Comprehensive and Progressive Agreement for Trans-Pacific Partnership (CPTPP) (not yet in force) - Singapore ratified the CPTPP on 19 July 2018. (The CPTPP is a revision of the original Trans-Pacific Partnership Agreement (TPP), from which the US withdrew in January 2017). Sri Lanka-Singapore FTA (SLSFTA) (2018) - Protocol 1 deals with Rules of Origin. ASEAN-Hong Kong SAR Investment Agreement (2017) (not yet in force). Singapore-Turkey FTA (2015) - Protocol 1 concerns ‘the definition of the concept of Originating Products and Methods of Administrative Cooperation’. ASEAN-India Investment Agreement (2014) - co-exists with the India-Singapore CECA. Singapore-Taiwan Province of China Economic Partnership Agreement (EPA) (2013) - this is an Agreement between Singapore and the Separate Customs Territory of Taiwan, Penghu, Kinmen and Matsu on Economic Partnership. ASEAN-China Investment Agreement (2009) - co-exists with the China-Singapore BIT. ASEAN-Korea Investment Agreement (2009) - article 9 read with the respective reservations listed in the Schedule provides the list of reservations; co-exists with the Korea-Singapore FTA. AANZFTA (2009) - agreement establishing the ASEAN- Australia- New Zealand FTA; the First Protocol to amend AANZFTA entered into force for all the parties except Cambodia and Indonesia on 1 October 2015 (entered into force for Cambodia in January 2016); co-exists with New Zealand- Singapore CEPA, P4 Agreement and Australia-Singapore FTA. ASEAN Comprehensive Investment Agreement (ACIA) (2009) - all ASEAN member countries are parties to the ACIA. The Amendment Protocol entered into force on 12 September 2016. The Second and Third Protocols were signed on 21 September 2017 and 20 December 2017 respectively. Singapore has made reservations concerning the obligations of National Treatment (NT) and Senior Management and Board of Directors. The ACIA co-exists with Cambodia-Singapore BIT, Laos-Singapore BIT, Singapore- Vietnam BIT and P4 Agreement. GCC-Singapore FTA (2008) - with the Gulf Cooperation Council, which includes Bahrain, Kuwait, Oman, Qatar, Saudi Arabia and the United Arab Emirates; co-exists with Bahrain-Singapore BIT, Kuwait-Singapore BIT, Oman-Singapore BIT, Saudi Arabia- Singapore BIT and Singapore-UAE BIT. China-Singapore FTA (CSFTA) (2008) - the Amendment Protocol was signed on 27 July 2011; co-exists with the China-Singapore BIT. Peru-Singapore FTA (2008) - Annex 11C deals with Singapore’s Cross Border Trade in Services and Investment Reservations for Existing Measures and Liberalisation Commitments; Annex 11E lists Singapore’s Reservations for Future Measures. ASEAN-Japan Economic Partnership Agreement (EPA) (2008). ASEAN-US TIFA (Trade and Investment Framework Agreement between the United States and ASEAN) (2006). Panama-Singapore FTA (2006) - Singapore has Reservations to Chapters 9 (Investment) and 10 (Cross-border Trade in Services), Financial Services (Market Access for Financial Institutions) and Financial Services (Non-conforming Measures). Korea-Singapore FTA (2005) - co-exists with the ASEAN-Korea Investment Agreement. P4 Agreement - Trans-Pacific Strategic Economic Partnership Agreement (2005) with Brunei, Chile and New Zealand; Schedule in Annex IV lists Singapore’s reservations with respect to national treatment, most favoured nation (MFN), local presence; co-exists with ACIA, AANZFTA and the New Zealand-Singapore CEPA (2000). India-Singapore Comprehensive Economic Cooperation Agreement between India and Singapore (CECA) (2005); the Second Review was concluded on 1 June 2018; the First Review was concluded on 1 October 2007; co-exists with the ASEAN-India Investment Agreement. Jordan-Singapore FTA (2004) - Annex 4-B sets out Singapore’s Schedule of Specific Commitments. Singapore-US FTA (2003) - Schedules to Annex 8-A and 8-B list Services Market Access Reservations; Annex 10-B lists Financial Services Reservations. Australia-Singapore FTA (SAFTA) (2003) - The amendments from the Third Review entered into force on 1 December 2017; co-exists with AANZFTA. EFTA-Singapore FTA (2002) - with EFTA member states (Iceland, Liechtenstein, Norway and Switzerland); Annex XI consists of reservations by Singapore concerning the obligations of national treatment and MFN; co-exists with Singapore-Switzerland BIT. Japan-Singapore EPA (2002) - the Second Review was concluded on 19 March 2007. New Zealand-Singapore CEPA (2000) for a Closer Economic Partnership; co-exists with P4 Agreement and AANZFTA. ASEAN Investment Agreement (1987) - was terminated on 29 March 2012 and replaced by the ACIA. ASEAN-EU Cooperation Agreement (1980) - with the European Union; Protocols have been signed for the extension of the Agreement to Vietnam and Cambodia. EU-Singapore FTA and EU-Singapore Investment Protection Agreement (IPA) - signed on 19 October, 2018 (see ‘Update and trends’). RCEP - Regional Comprehensive Economic Partnership - currently in negotiation; the parties involved are the ASEAN member states, Australia, China, India, Japan, Korea and New Zealand. enacted to implement the Convention. No. Singapore is not a party to the Mauritius Convention. Singapore does not have a designated investment treaty programme, but has a number of initiatives for promoting foreign investment (see questions 13 and 15). The Global Investment Programme (GIP) is an initiative by the Singapore Economic Development Board jointly administered with the Ministry of Manpower (MoM), to attract foreign investment. The programme assists investors and entrepreneurs to set up and develop their business in Singapore. Foreign investors may apply for Singaporean permanent residence status through the GIP. Contact Singapore administers the GIP and is a one-stop shop for investors interested in investing and relocating to Singapore. The MoM also has the Entrepreneur Pass (EntrePass) scheme for foreign entrepreneurs who wish to start a business and relocate to Singapore. One can apply for an EntrePass if one has started, or intends to start, a private limited company registered with the Accounting and Corporate Regulatory Authority (ACRA). See: www.mom.gov.sg/ passes-and-permits/entrepass. Enterprise Singapore, a government agency championing enterprise development (formed by merging International Enterprise Singapore and SPRING SG on 1 April 2018), also has various schemes and pro-trade policies for foreign investors. StartUp SG also offers incentives including funding support, mentorship and grants to encourage start-ups, including foreign companies to set up in Singapore. See: www. enterprisesg.gov.sg/non-financial-assistance/for-foreign-companies. Singapore has no separate law governing foreign investment. Foreign investment is governed by sector-specific laws and regulators. The Economic Development Board Act (Chapter 85) established the Economic Development Board (EDB), which plays an active role in promoting foreign investment (see question 15). Registration of companies is governed by the ACRA, and consent and/or approval is required from sector-specific agencies, regulators or referral authorities, for certain sectors. For registering a foreign company in Singapore, the services of a registered filing agent (eg, a law firm, accounting firm or corporate secretarial firm) may be engaged to submit an online application. The branch of a foreign company must have at least one authorised representative who is ordinarily resident in Singapore (the authorised representative’s usual place of residence is in Singapore, a Singaporean citizen, Singaporean permanent resident or an EntrePass holder). The ACRA prescribes an application fee and a registration fee for registering a company. The foreign company may commence business once it is registered with ACRA if it does not require any licences or approvals from government agencies or regulators in order to carry out its business activities. Foreign investment is restricted in certain sectors like news media, banking, telecommunications and land ownership. Section 19 of the Newspaper and Printing Presses Act (Chapter 206) (NPPA) prohibits the acceptance of any funds from a foreign source without the prior approval of the concerned Minister. The NPPA also places restrictions on shareholder composition of newspaper companies, and restricts foreign control. The Banking Act (Chapter 19) provides for the licensing and regulation of the business of banks and related financial institutions. A company desirous of carrying on banking business in Singapore has to apply in writing to the Monetary Authority of Singapore (MAS) for a licence under section 7 of the Banking Act. The MAS oversees all financial institutions in Singapore, and also regulates foreign investment in financial institutions. Singapore offers many investment incentives for both domestic and foreign investors. Companies may apply for tax incentives under the Income Tax Act (Chapter 134). The Economic Expansion Incentives (Relief from Income Tax) Act (Chapter 86) (EEI Act) consolidates investment incentives. Certain investment allowances and tax deductions are granted for ‘approved projects’ under Part X of the EEI Act. identification of key enterprises and encouraging them to establish their international headquarters in Singapore and to undertake a wide range of international service and business activities. In August 2018, the EDB and Enterprise Singapore signed a memorandum of understanding with the Japan External Trade Organisation to bolster support for start-ups, create initiatives, opportunities, information exchanges, and to strengthen linkages between businesses based in Japan and Singapore. Civil proceedings against the government have to be instituted against the appropriate authorised government department, or, if none of the authorised government departments is appropriate or the person instituting the proceedings has any reasonable doubt regarding the appropriate department, against the Attorney-General (section 19 of the Government Proceedings Act). All documents to be served on the government in any civil proceedings have to be served on the solicitor, if any, in charge of the authorised government department or acting for the concerned department, or if there is no such solicitor and no person so acting, or if the proceedings are brought against the Attorney-General, on the Attorney-General (section 20 of the Government Proceedings Act). Specific provisions for service on a party may also be found in the respective IIAs (eg, article 34 of the Investment chapter of SAFTA, Annex 9-D of the TPP). There is no publicly available repository of treaty preparatory materials. The IIAs entered into by Singapore, and the related press releases, may be accessed from the Ministry of Trade and Industry website (see: www.mti.gov.sg/). Typically, ‘investor’ and ‘investment’ are defined broadly. The definition of ‘investors’ generally includes both natural persons (usually referred to as ‘nationals’) and juridical persons (companies or enterprises). In certain investment treaties, the government and government agencies of a contracting party are included in the definition of an investor (eg, see Qatar-Singapore BIT, Kuwait-Singapore BIT, UAE-Singapore BIT). Investors covered are ‘foreign’ investors, who are not nationals of the host state in which the investment is made. Certain investment treaties require the investments to be approved in writing, by the respective government or the relevant agency (eg, article 2 of the Kuwait-Singapore BIT, article 12 of the UK-Singapore BIT and article 1(1)(ii) of the Germany-Singapore BIT). licenses, authorisations, permits, and similar rights conferred pursuant to applicable domestic law. A common exception to the applicability of investment treaties is in matters of taxation in the territory of either contracting party, unless otherwise provided. Such matters are generally governed by an avoidance-of-double-taxation treaty between the two contracting parties (eg, article 2(3) of the Qatar-Singapore BIT, article 4(5) of the Iran- Singapore BIT and article 5(2) of the Mauritius-Singapore BIT). include provisions concerning expropriation, fair and equitable treatment (FET), full protection and security (FPS), MFN and NT. It is common for the definition of expropriation to include both direct and indirect expropriation (‘measures having effect equivalent to nationalisation or expropriation’). The provisions relating to expropriation are similar in most investment treaties. You can also find various exceptions detailed in the treaty text. For example, annex 2 of the ACIA provides that ‘non-discriminatory measures of a member state that are designed and applied to protect legitimate public welfare objectives, such as public health, safety and the environment, do not constitute indirect expropriation.’ Footnote 17 of Chapter 9 (Investment) of the TPP clarifies that ‘public purpose’ refers to a concept in customary international law. There are also certain exceptions relating to the expropriation of land. The provisions according FET and FPS to investments are similar in most BITs, especially those concluded before 2000. Typically, it is generally worded as investments shall be ‘accorded fair and equitable treatment and shall enjoy full protection and security’. Article 6 of the Investment chapter in SAFTA has a very detailed FET provision, and makes a reference to the customary international law minimum standard of treatment of aliens as the standard of treatment to be accorded. FET and FPS do not require treatment in addition to or beyond that which is required by the customary international law minimum standard. It also includes an obligation not to deny justice in criminal, civil or administrative adjudicatory proceedings in accordance with the principle of due process. The FET provision further mentions that the mere fact that a party’s action or inaction is inconsistent with the investor’s expectations does not constitute a breach of FET obligation. A similar provision is found in article 9.6 of the TPP. The recently signed EU-Singapore IPA also has a detailed FET clause that includes denial of justice (see ‘Update and trends’). The provisions according MFN and NT are similar in most investment treaties, and exceptions to their operation are also commonplace. Not all investment treaties contain umbrella clauses, which protect contractual commitments entered into between a foreign investor and a state contracting party. An example of an umbrella clause is article 12(1) of the Singapore-Ukraine BIT that states: ‘Each Contracting Party shall observe commitments, made in accordance with its laws, additional to those specified in this Agreement, it has entered into with respect to the investment of the investors of the other Contracting Party.’ For example, see BITs with Germany (article 8), China (article 15) and the Czech Republic (article 15(2)). Singapore has not been a party as a host state or respondent to an investment dispute with foreign investors so far. Most of the investment treaties have provisions dealing with dispute resolution applicable to foreign investors. The common mechanisms for investor-state dispute resolution include ICSID, the ICSID Additional Facility Rules and arbitration under the UNCITRAL Arbitration Rules. Multi-tiered dispute resolution provisions require parties to resort to alternative modes of dispute resolution (eg, negotiations) for a certain period. There may be provisions encouraging the amicable settlement of dispute through negotiations (eg, article 13 of the Mauritius-Singapore BIT and article 11 of the Iran-Singapore BIT). any other arbitral institutions in accordance with any arbitral rules, as agreed to between the parties [Article 10(2)]. Once the investor has submitted the dispute to any of the aforementioned dispute settlement mechanisms, the choice shall be final. if the disputing parties agree, to any other arbitration institution. The resort to any one of the above fora or arbitration rules, excludes the others (article 33). The EU-Singapore IPA provides for a two-tier investment court (see ‘Update and trends’). There are no laws explicitly referring to the requirement of confidentiality in investment arbitration. For Singapore-seated international arbitrations, the governing legislation, the International Arbitration Act (Chapter 143A) (IAA), does not explicitly impose an obligation of confidentiality. However, a party may apply to have hearings otherwise than in open court, and for other measures to preserve the confidentiality of the proceedings in relation to arbitration (sections 22, 23 of the IAA). 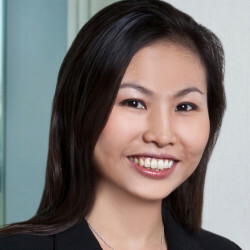 An implied obligation of confidentiality in arbitrations has also been recognised by the Singapore courts (AAY v AAZ  1 SLR 1093 and Myanma Yaung Chi Oo Co Ltd v Win Win Nu and another  2 SLR(R) 547). Specific provisions relating to transparency and confidentiality may be found in IIAs (eg, article 39 of the ACIA) (see ‘Update and trends’ for transparency provisions in the EU-Singapore IPA). a minimum paid-up capital of S$50,000. Further details about the PRIS scheme can be found at: https://ie.enterprisesg.gov.sg/assistance/global-company-partnership/access-to-financing/political-risk-insurance-scheme. Singapore is a signatory to the UN Convention on the Recognition and Enforcement of Foreign Arbitral Awards 1958 (New York Convention). Singapore acceded to the New York Convention on 21 August 1986, on the basis of reciprocity with other contracting states. As stated previously, there have been no investment treaty awards rendered against Singapore so far. There have been no proceedings to date for the enforcement of an investment treaty award against Singapore. Singapore is known for its pro-arbitration stance. The law governing the enforcement of international arbitral awards in Singapore is the IAA. As affirmed by the Court of Appeal in AKN and another v ALC and others  3 SLR 488, the ‘policy of minimal curial intervention is the mainstay of the UNCITRAL Model Law and the IAA, and the grounds for curial intervention are narrowly circumscribed’. 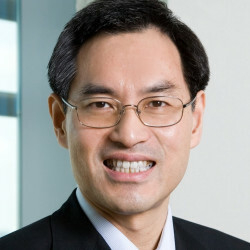 In the recent decision of Sanum Investments Limited v ST Group Co Ltd and others  SGHC 141, the Singapore High Court reiterated its pro-arbitration stance and held that when no prejudice is shown, despite the existence of procedural irregularities, the Court would exercise its residual discretion to enforce the award. According to section 19 of the IAA, an arbitral award may be enforced in the same manner as a judgment after obtaining leave of the High Court, and judgment may be entered in terms of the award. A foreign award (defined in the IAA as an award made in any ‘Convention country’ - a signatory of the New York Convention) may be enforced in a court either by action or in the same manner as an award of an arbitrator made in Singapore under section 19 (section 29 of the IAA). the award has not yet become binding on the parties or has been set aside or suspended by a competent authority of the country in which, or under the law of which, the award was made. enforcement of the award would be contrary to the public policy of Singapore. a breach of the rules of natural justice occurred in connection with the making of the award by which the rights of any party have been prejudiced (section 24 of the IAA). For Singapore-seated arbitrations, both positive and negative preliminary jurisdictional rulings of the arbitral tribunal, may be challenged before the High Court (section 10 of the IAA, read with article 16(3) of the UNCITRAL Model Law). The High Court applies a de novo standard of review, while deciding on such challenges to preliminary jurisdic tional rulings. (PT First Media TBK v Astro Nusantara International BV  1 SLR 372 and Sanum Investments Ltd v Government of the Lao People’s Democratic Republic  5 SLR 536). an obligation of the state that by virtue of a contract (whether a commercial transaction or not) falls to be performed wholly or partly in Singapore. 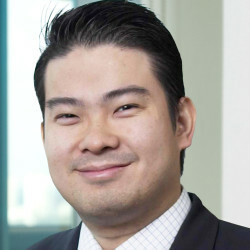 Where a state has agreed in writing to submit a dispute to arbitration, the state is not immune as respects proceedings in the courts in Singapore that relate to the arbitration (section 11(1) of the State Immunity Act). States enjoy certain privileges under section 15 of the State Immunity Act, where fines, orders for specific performance, recovery of land or other property, or injunction, shall not be made against a state. * The authors are grateful to their colleague Brunda Karanam for the considerable assistance given in respect of the research and preparation of this chapter. The EU-Singapore FTA and the IPA which were signed on 19 October, 2018, are the first bilateral trade and investment agreements between the EU and an ASEAN member state. This is a large step forward in the promotion of trade and investments in Singapore by the EU. The IPA incorporates all aspects of the EU’s new approach to investment protection and will replace BITs between Singapore and EU member states including Belgium-Luxembourg, Bulgaria, the Czech Republic, France, Germany, Hungary, Latvia, the Netherlands, Poland, Slovakia, Slovenia and the United Kingdom. The EU-Singapore FTA and the IPA will be sent to the European Parliament. The EU is aiming for the FTA to come into force in 2019. The IPA will then come into force upon ratification by each EU member state. harassment, coercion, abuse of power or similar bad-faith conduct (article 2.4(2)). Various footnotes in the IPA clarify the scope of the provisions for greater certainty (eg, footnote 9 of Chapter Two (Investment Protection) clarifies that the sole fact that the covered investor’s claim was rejected, dismissed or unsuccessful does not constitute a denial of justice). against payment of prompt, adequate and effective compensation, which is the fair-market value immediately before expropriation or impending expropriation becoming public knowledge. Valuation criteria used to determine fair market value may include going-concern value, asset value - including declared tax value of tangible property - and other criteria, as appropriate. Annex 1 further clarifies that expropriation includes both direct and indirect expropriation and Annex 2 clarifies that when Singapore is the expropriating party, any expropriation of land, shall be upon the payment of compensation at market value in accordance with the Land Acquisition Act (Chapter 152), and should be for a public purpose or incidental to a public purpose. grounds provided in article 52 of the ICSID Convention in so far as they are not covered by the other two grounds in the IPA. failure to state the reasons of the award. The IPA also provides for a mediation mechanism (article 3.4 and annex 6). The IPA provides for transparency of proceedings (article 3.16) and an entire Annex 8 deals with the Rules on Public Access to Documents, Hearings and the possibility of third persons making submissions. All documents and hearings before the Investment Court will be publicly accessible and the Secretary-General of the United Nations, through the UNCITRAL Secretariat, is designated as the repository (article 5 of Annex 8). In case of third-party funding, the IPA requires the disclosure of the name and address of the funder to the Tribunal and to the other disputing party, and the notification has to be made at the time of claim submission, or as soon as third-party funding is agreed upon, given or granted (as applicable) (article 3.8). Another noteworthy development in Singapore is the legalising of third-party funding (TPF) for international arbitrations seated in Singapore, and related court and mediation proceedings. The common law torts of maintenance and champerty are abolished vide the Civil Law (Amendment) Act 2017 (passed on 10 January 2017). The Civil Law (Third-party Funding) Regulations came into force on 1 March 2017 and lay down certain qualifications for funders. Amendments carried out to the Legal Profession Act and Legal Profession (Professional Conduct) Rules permit legal practitioners to introduce funders to their clients and advise their clients in relation to the TPF contract (provided they receive no direct financial benefit from the referral). Legal practitioners are also under a duty to disclose to the court or tribunal, as the case may be, the existence of TPF and the identity of the third-party funder. These developments in relation to TPF have further enhanced the popularity of Singapore as a preferred seat for international arbitrations, including investor-state arbitrations. Singapore courts have recently heard two cases arising out of two Singapore-seated investor-state arbitrations. In Sanum Investments Ltd v Government of the Lao People’s Democratic Republic  5 SLR 536, which concerned a challenge to the applicability of the China-Laos BIT to Macau, the Court of Appeal had to examine state succession principles, and interpret fork-in-the-road clauses. As to the case of Kingdom of Lesotho v Swissbourgh Diamond Mines (Pty) Ltd and others  SGHC 195, this was the first case before the Singapore High Court that pertained to the setting aside of an award on the merits rendered in an investor-state arbitration seated in Singapore. This case has been heard before the Court of Appeal, and judgment has been reserved.